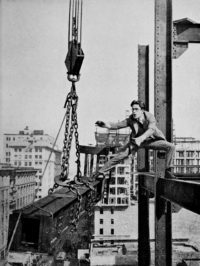 Harold Lloyd’s silent comedy was story *crack* to my 9-year-old brain. And it taught me everything about breaking the fourth wall to co-create with my audience. Collaborative Storytelling is not an option today. I’ve given several keynotes on this topic and I love seeing how audiences engage when I create scenes without talking – all pantomine and space-object work! When I was 9, I was asked to give a presentation about something I was passionate about. I was also very shy. I didn’t relish the idea of getting up in front of people to talk. Yet, that was part of the assignment! So I gave a pantomime “talk” based on my love of silent film comedy and Harold Lloyd, one of the first comic stuntmen in Hollywood of the silent film era. So acted out various scenes from Lloyd’s movies including the famous hanging on the clocktower bit from the famous “Safety Last” move. Pretty soon my fellow 4th graders were shouting suggestions for me to act out and incorporate. I did. It was my first experience with space object work (improv and I didn’t even know it! ), visual storytelling, and the magic of co-creation. With in a minute of not being sure what they were watching, my classmates were laughing, jumping out of their seats excitedly participating in what was happening. I’m pretty sure they hadn’t seen anything like this and didn’t know who the heck Harold Lloyd was. And it didn’t matter. They were part of the story. And the story was visual – it didn’t need words! That’s what I learned at 9 – that when you make your audience part of the story, you knock down walls (the 4th wall) and you include them. When people are an engaged part of the story, you create magic. And that matters. 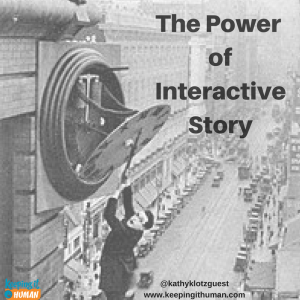 That interactive engagement creates the story: you build it together with your audience. 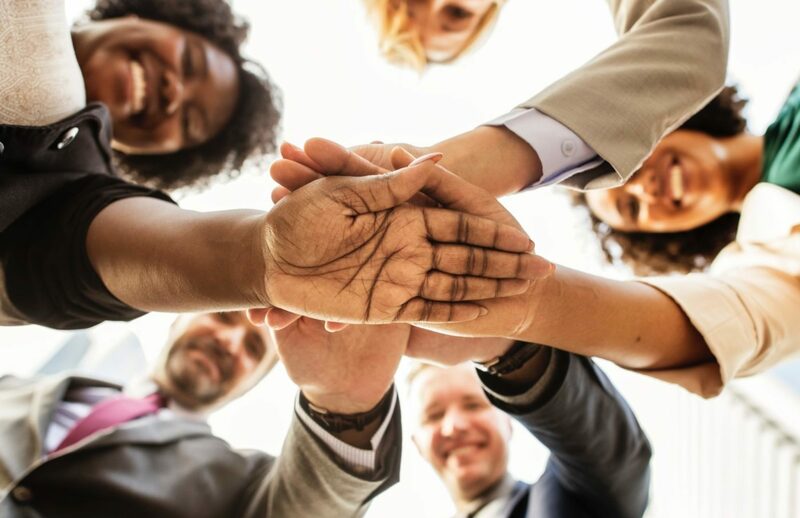 I’ve written extensively about this concept of breaking the 4th wall and I believe it is not an option any longer when it comes to great brand and business storytelling. How are you creating with your audience? And if you haven’t enjoyed it, do check out Harold Lloyd!! This was a fun keynote I did recently – and I got to re-enact those scenes! It’s what my 9 yro brain has never forgotten. We’re all storytellers and we’re not destined to grow out of it. Kathy Klotz-Guest is a story and creativity strategist, speaker and author. An improviser and comedian as well as an MBA, MA, Kathy brings interactivity, inspiration and innovation to events, talks, and workshops. Interested in having her speak at your company? Contact Kathy.